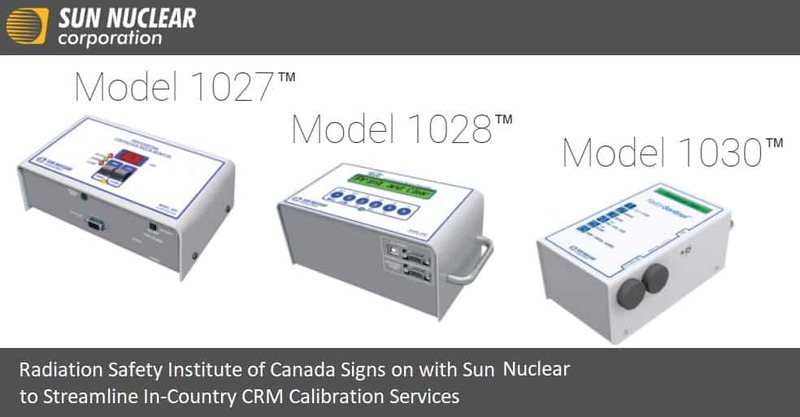 The Radiation Safety Institute is excited to partner with the Sun Nuclear Corporation as an exclusive Canadian calibration facility for its continuous radon monitors (CRMs). We are pleased to offer Canadian Sun Nuclear CRM users performance testing and calibration services for models 1027, 1028, and 1030 at our National Laboratories in Saskatoon, Saskatchewan. Why use the Canadian Calibration Services? With lower nominal base prices, favourable exchange rate and complete elimination of brokers fees– there is no reason to delay giving our CRM calibration service a try. For Canadian clients it will deliver up to 60% of savings compared to competition. Sun Nuclear CRMs sent to the Institute are first inspected, and then placed in our radon chamber for a performance test. The instruments are exposed for a predetermined time and the measured radon concentrations compared against our reference system. CRMs that agree with our reference system to within +/-25% are considered to be operating properly. Instruments that fail the performance test are tested a second time to confirm the results. As necessary, the Institute will modify instrument internal calibration factors and then confirm the instrument’s performance. The Institute will contact Sun Nuclear for guidance and support for any instruments that appear to be malfunctioning. Upon completion of a successful performance test, the calibration date is updated on all CRMs as appropriate. For all performance tests, the Institute places a calibration sticker on the device and provides the client with an instrument performance report. 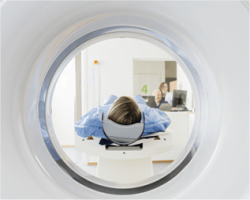 For instruments that are determined to be malfunctioning, the Institute will work with the client to determine how they wish to proceed with repairs. This could include the Institute forwarding the instrument to Sun Nuclear directly for repair on their behalf. In accordance with the C-NRPP quality assurance requirements CRMs should be tested once a year. An annual performance test ensures your CRM is working properly and provides confidence that you are providing your clients with accurate test results and advice. Annual performance tests also protect radon measurement professionals from unnecessary liabilities. The exclusive agreement between Sun Nuclear and RSIC was put in place to streamline calibration services for hundreds of Sun Nuclear CRM users in Canada. With RSIC National laboratories, the only C-NRPP certified radon chamber service provider in Canada, it has never been easier or more economical to calibrate your continuous radon monitors. Using our RSIC Calibration services you reduce your turn around times and idling in your business while the device is being serviced, you avoid all cross border shipment hassles and eliminate exchange rate risks.